Box #33 of this lot: Toward the end of the 1960s, some companies were experimenting with multichip array packages, which could act as memory modules. 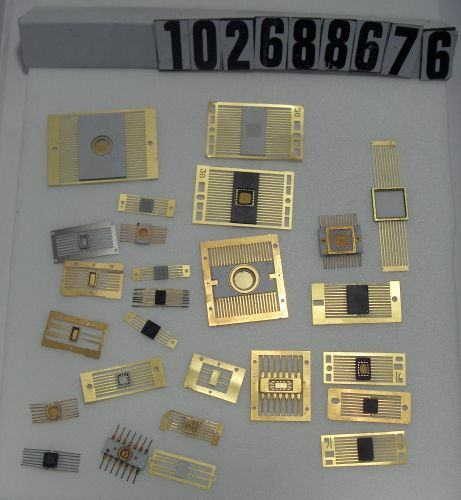 This assembly of surface mounted flatpaks shows the wide variation in size, pin count, and package configuration. Box contains 26 such pakages.